Yogacarya BKS Iyengar was a world-renowned yoga master who touched the lives of millions through his brilliant and innovative work, developed over more than 75 years of practice and teaching and steeped in the ancient tradition of Yoga. He studied yoga since the age of 15 and in the 1960s he brought his teachings to the West. 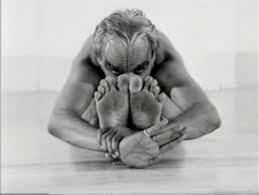 BKS Iyengar has become a primary influence on the way yoga is practiced today. Hundreds of teachers all over the world have been certified under his system. He authored many books including "Light on Yoga" which is considered an essential text of contemporary yoga. BKS Iyengar founded the Ramamani Iyengar Memorial Yoga Institute (RIMYI) in Pune in 1973, where his son Prashant and granddaughter Abhijata continue to teach. His eldest daughter, Geeta, followed in his footsteps. She was devoted to her father’s legacy and was a gifted teacher in her own right. Geeta passed away in December 2018.